The term ‘reluctant frontman’ seems to neatly describe unassuming Undertones guitar hero and songwriter Damian O’Neill. 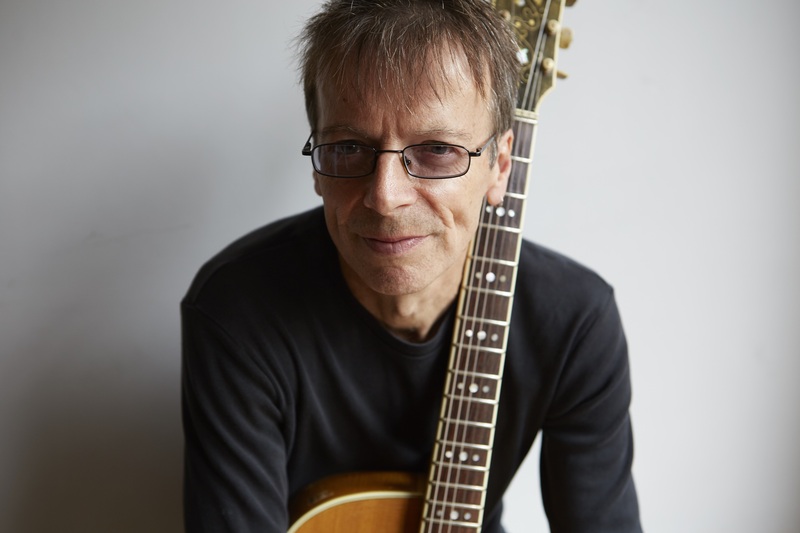 Whatever bands he’s featured with over the years – not least fellow notables That Petrol Emotion and The Everlasting Yeah – he’s always been more than happy to let someone else take centre-stage, while he just gets on with doing his thing, be that with guitar, bass or keyboards. Of course, he’s not alone in that reluctance to step forward. It seems to run in the family, judging by older brother John, also seemingly content just to write great songs then get someone else to belt them out (in his case including The Undertones’ entire late-’70s single output and seven of the first eight TPE singles before he left). And those are just the O’Neill brothers who went public (one of the other two, Vinny, was an Undertone before Damian, but opted to knuckle down to O-levels while his bandmates marvelled at wonderkid bro Dee – then 15 – actually owning an electric guitar, albeit a £14 Woolworth’s one, inviting him to join). Between them they’ve come up with so many great songs, Damian’s best-known ditties not only including those memorable openers on the first two albums, Family Entertainment and More Songs About Chocolate and Girls, but also three singles co-written with Mickey Bradley – the band’s biggest hit, My Perfect Cousin, then It’s Gonna Happen and The Love Parade. And I’ll get back to the latter two shortly. Busy as he’s been with The Undertones and The Everlasting Yeah this last decade, it seems we’ve not seen many of Damian’s songs aired, other than 2013 Record Store Day single, Much Too Late, for the former act, and the following year’s splendid solo 45, Trapped in a Cage/Love Makes the World Go Around (it wasn’t a AA-side, but both tracks deserve mentions). But a few months without shows of late have at last allowed Dee the chance to … erm, ‘Sit down, relax, and cancel all other engagements,’ putting heart and soul into a solo album … of sorts. I say ‘of sorts’ because the sleeve title on this Dimple Discs wonder reads, ‘Damian O’Neill and the Monotones’ – something of a nod to Dee’s past live shows with brother John and Paul McLoone as The Semitones, apparently – and there’s a real band feel here. The multi-talented Sean O’Hagan (piano, backing vocals), Kev Hopper (electric saw), Brendan Kelly (Dee’s That Petrol Emotion and Everlasting Yeah bandmate, on additional bass) and Dave Hattee (drums, percussion, piano), are among those also featured, but it’s your main-man supplying all the guitar parts and doing the singing, while adding bass, organ, vibraphone, percussion, bells, toy glockenspiel and even Stylophone – all to great effect, on an album he co-produces with Stereolab’s Andy Ramsay (with extra mixing by Paul Tipler and mastering by Noel Summerville). He’s not the only family member involved either, his daughter Rosa providing backing vocals as well as sleeve photography. 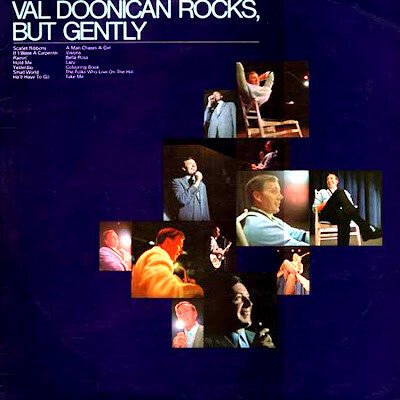 And what a great LP cover it is, although Damian did come clean in a quality ‘retrosonic podcast’ with Steve Worrall at RetroMan Blog and reveal the design – put together by Bruce and Mary Brown at Arthole – was based on a 1967 easy-listening bestseller, channeling the spirit of a certain Waterford crooner on the wonderfully-titled Val Doonican Rocks, But Gently. In some cases, it was a case of Damian cleaning up old demos at home in his loft in Peckham, South-East London, with the help of his GarageBand Apple Mac program on his laptop, at others cycling over to his co-producer’s Press Play studio in nearby Bermondsey. 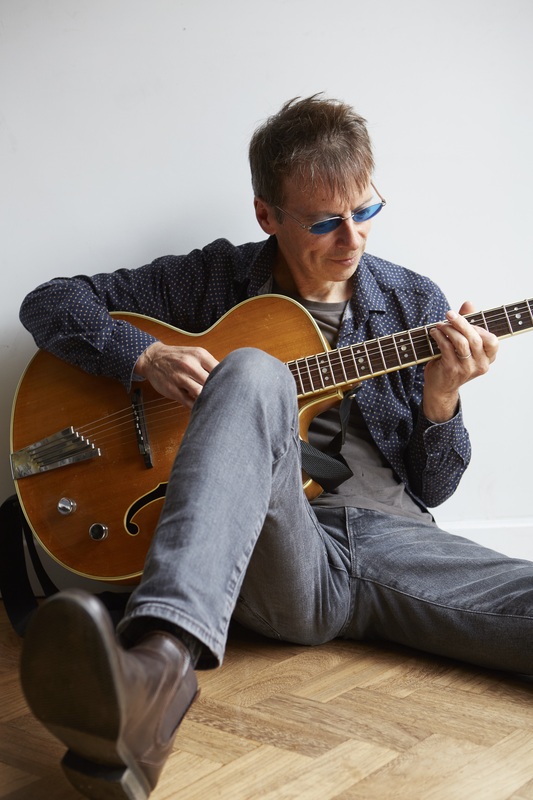 The songs themselves are the accumulation of a few years’ work between other projects – spanning all his main groups in recent years, hence the Refit, Revise, Reprise title – and include reworked versions of five songs originally aired with The Undertones and That Petrol Emotion. That’s not to say there aren’t plenty more great Dee O’Neill songs still waiting to see the light of day, but these will do more than nicely for starters. When I spoke to Damian, the album was about to be shipped out to the first ‘pledgers’, myself included …. not as if I hadn’t had a sneaky listen to the downloads first. And I was already loving it. Had that been the over-riding reaction? A typical response, out of step with the hyperbole afforded by those of us who got in there quick. But I let that go. It seems, i suggest, that a lot of musicians are still trying to get their heads around the idea of Pledge Music and other crowd-funding platforms. You’ve probably still got a few pledges to meet from last time, I suppose. We soon got on to another crowd-funded project I recently shelled out on, Pete Wylie’s impressive, superbly-named LP, Pete Sounds. Watch this space for something on that. In the meantime, though, talking of the seminal 1966 LP that inspired that title, there’s more than a hint of Dee’s appreciation of Brian Wilson on his own release. We’ll come to those fine numbers and the other 10 that grace Refit Revise Reprise right now, in a track by track appreciation of the album, running alongside Dee’s thoughts and explanations for tackling those compositions, starting with a re-imagining of the lead single from the Sharkey-era Undertones’ The Sin of Pride, an album which still divides fans 35 years after its release. There’s no dipping your toes in when it comes to this LP, old Undertones fans like me plunged in head first with Damian’s fresh take on The Love Parade as the opener, sounding more like an outtake from Lenny Kaye’s feted Nuggets compilation of the first wave of US garage and psychedelica, from its Who-like guitar intro right through, including plenty of super-charged organ, Dee’s breath-of-fresh-air lead and backing vocals, and buzzing bass touches. Is this how you originally envisaged the song when you first shared it with the band in the early ‘80s? It works really well. And much as I love 1983’s The Sin of Pride – an important stepping stone for me in musical terms, turning me on to so much more, not least The Isley Brothers and The Miracles from your choice of covers – I think the time’s come for you to go back and re-record the whole thing. Take out the ‘kitchen sink’ production, as you’ve described it, and try once more with songs like cast-aside bonus track Bittersweet. Now there’s food for thought. And there’s not a duff track on that LP for my liking, including your songs. You just need to somehow bring the soul out a little more – forget the Celtic Soul Brothers, concentrate on the Derry City Soul Brothers. But I digress. I love the tremolo guitar touches on this version. There are certainly some nice electric guitar flourishes on the mid-tempo, stomping Sweet ’n’ Sour, which I really love, with some glorious late-Petrols-like six-string moments in the closing stages. 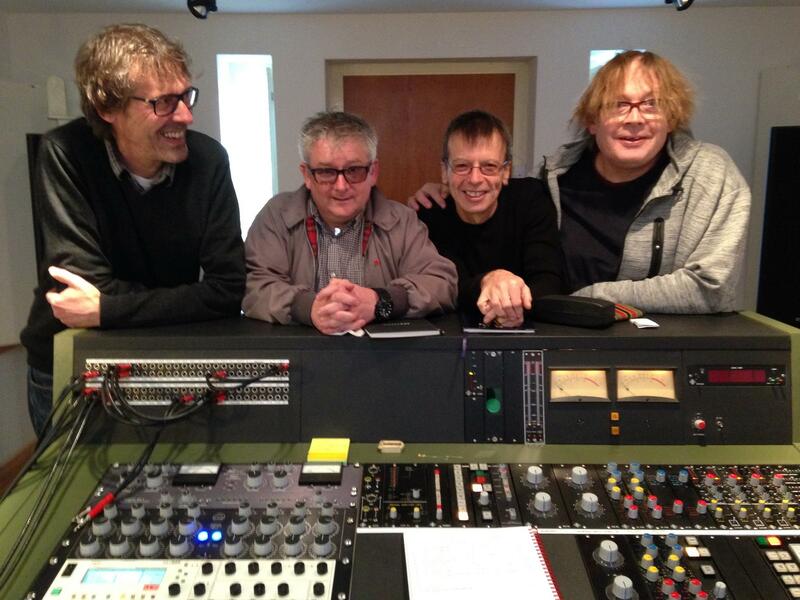 So how close is Andy Ramsey’s studio to you? Damian first met Andy when he released his Trapped in a Cage single in 2013, The Everlasting Yeah doing their Anima Rising album in the same studio. There’s also a delightful psychedelic middle-eight on Sweet ‘n’ Sour, further reminding me of this album’s Nuggets-like feel in places. And you were a big glam-rock fan, weren’t you? You’re in good company too. Listening to Bedazzler, the first single by Stag, Steve Mack’s band out in Seattle, I get the impression it’s time for a glam revival. Well, I suppose it makes sense. For one thing, you’re blokes of a certain age. Face facts. There’s a nice video too, shot in a tunnel between Hastings and St Leonards-on-Sea, East Sussex. If you haven’t seen that, try this link. The first of the former That Petrol Emotion songs reimagined here is Gnaw Mark, which seems less frenetic, more brooding, and definitely shorter than the 1990 version. I have to say, I’m a fan of that version too. Perhaps I’m just a little time-dated. But your stripped-down version, including atmospheric one-note piano touches, is closer to 1986 TPE track, Mine, your somewhat quirky co-write with Steve Mack, tucked away on the It’s a Good Thing 12″. Did you write those tracks around the same time? Well, you can’t beat a nice bit of wonky guitar and keyboard. On my first listen to Someone Like You, I wrote on my notepad, ‘Understated rock’n’roll rumble,’ and when I tell Damian this, he laughs. I also mention that, despite the added vibes, bells and TPE menace, there’s a rather retro Eddie Cochran, Gene Vincent or Johnny Kidd feel to the song. And there are some neat, trademark Sympathy for the Devil-like ‘woo-woos’ late on, which I think you’ll find you’re legally obliged to provide now and again. We’ve written them into your rock’n’roll contract. Maybe he should recruit Undertones fan Richard Hawley (who guested with the band on a couple of tracks in Sheffield last year) for his live band, I suggest. It would be right up his street. And when I suggest this, he tells me he should get a copy of the album to him via their mutual friend, fellow Belfast-born Candida Doyle, of Pulp fame. So what about that further ‘Beach Boys at their most inventive’ number I mentioned earlier? The first thing I wrote down after hearing the delightful Everlasting Breath – other than a note about Stump star Kev Hopper’s impressive contribution on the saw – was ‘Brian Wilson’. But at the same time I can hear something of Ciaran McLaughlin’s equally-gorgeous Everything’s Beautiful from Anima Rising. I’m surprised in retrospect, I add, that he didn’t do the song with The Everlasting Yeah. That was for the 2000 reissue of the band’s 1993 final LP, incidentally. It’s interesting you say that. I really like your voice on this album, and particuarly on this track, but there are three or four songs where I can almost hear Steve singing and three or four others where I could potentially hear a female vocal. I get the idea you remain a reluctant frontman. At least get a band together to try and hide behind. Getting back to the song in question, I could also see Mickey Dolenz covering this on a follow-up to The Monkees’ lovely 2016 comeback LP, Good Times! And Sean O’Hagan’s atmospheric piano brings to mind Mickey Gallagher’s dreamy tinklings on Ian Dury and the Blockheads’ You’ll See Glimpses. Talking of dreamy, we have a further ’60s-like instrumental delight next in Mundanian Dream before the needle reaches the middle and we’re turning over for part two. Softly lilting throughout, yet chock-full of emotion and reflection. 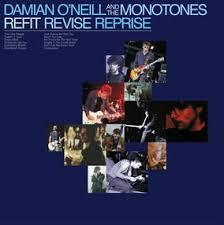 Time flies, and it’s somehow been 17 years since Damian’s A Quiet Revolution LP for Alan McGee’s Poptones label, a fascinating collection of sample-led tracks, very filmic. There was also his No Flies on Frank EP three years earlier, with the track Moon Tide being picked up for 2000’s film adaptation of Hamlet, with a stellar cast led by Ethan Hawke in the title role, Damian rubbing shoulders on the soundtrack with The Birthday Party, Bob Dylan, Morcheeba, Primal Scream, Brahms, Liszt, Mahler and Tchaikovsky. Which is all a very long way around of me saying that side one closer Mundanian Dream would sit very nicely on a film soundtrack. Who knows, maybe recognition could follow for a new genre, Film Noirs. And I’m guessing that’s Dee’s toy glockenspiel on there again. Again, there’s that kind of Brian Wilson feel. Answers on a postcard, pop kids. Meanwhile, there are some distinctive touches on this track and Everlasting Breath from guest artist Sean O’Hagan. I seem to recall seeing his breakthrough act, Microdisney – and what a band they were – supporting That Petrol Emotion at some stage in the late ’80s. Did you get to know him well then? 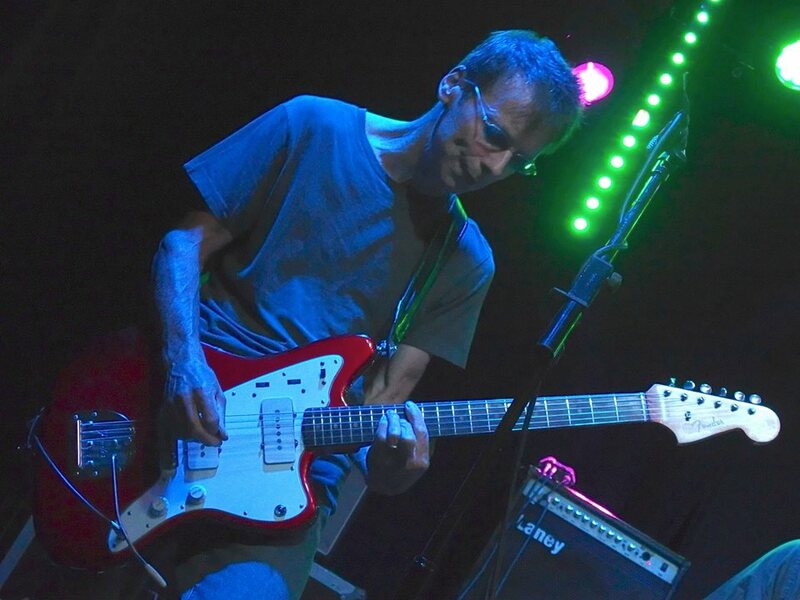 For no apparent reason, it’s taken me a while to properly catch up with his next band, The High Llamas, but – albeit a little late – I’m loving their material. And I shouldn’t be surprised, judging by my appreciation of all those glorious Microdisney tunes and hooks. Starting side two in style we have Just Wanna Be With You, which to me is nothing short of glorious, and relatively-simple, three-minute pop, with searing guitars, gorgeous harmonies and a melody to marvel at. I hadn’t really thought about that, but yes. And your voice works really well on there. Funny you should say that. I think Damian O’Neill of say 20 or 30 years ago may have worked a bit too hard there, ensuring there was deeper political meaning behind the track. But the best songs are sometimes just the less cluttered ones. There’s no reason why it couldn’t be slotted into the band’s set. In fact, that’s the case for a couple of these songs, not least your version of The Love Parade. I agree, but it would be nice to give Paul a rest, let him shake a tambourine while you sing it. And while the glock and vibes suggest more poppy ’60s moments from The Velvet Underground (Lou Reed would have made a good fist of this too, I reckon), it’s also something I heard from mid- to late-’80s indie-pop bands like The Primitives. Actually, it brings to mind one of my favourite tracks by them, 1988’s Carry Me Home, sung by their guitarist, PJ Court. But back to Damian, and if you’re looking for a second single for the album, I’m recommending this (to paraphrase that Michael Bradley fella). Seeing as he mentioned The Undertones there, Much Too Late is a song I’ve heard live from them a few times, and was released to mark Record Store Day in 2014. But once again, his version here suggests a little more of that garage/underground ‘60s psychedelic feel. And who could resist those bells? Lovely. But hang on – two minutes and it’s all over, short and succinct. I’m all for that, yet felt it was a false ending and was just waiting for him to come back … if only for another couple of bars. I’m guessing No Time like the Noir Time was borne out of your time with the rock’n’roll band you were planning to play shows with when we spoke back in November 2014 (with a link to that feature here). 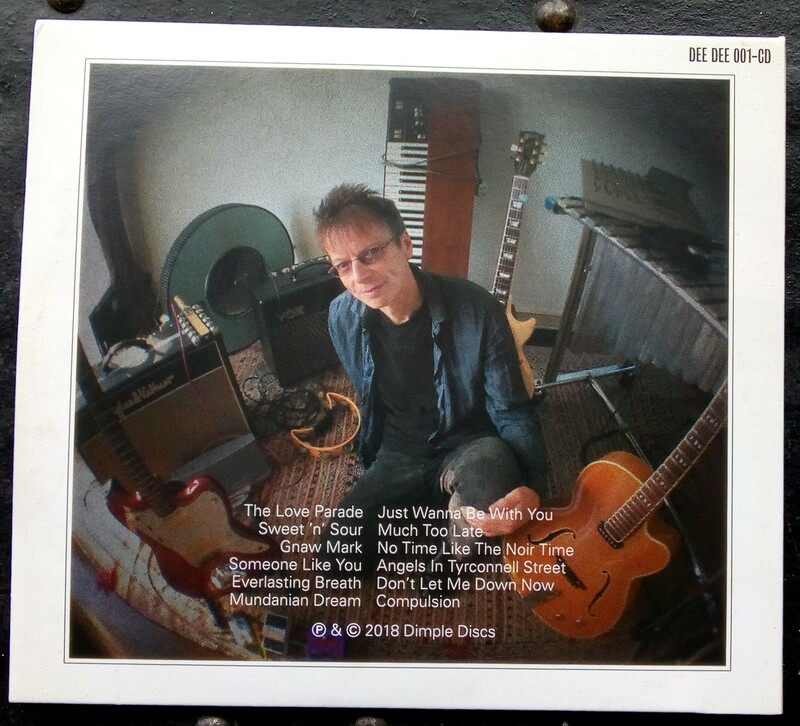 There’s a nice Stranglers-like feel too (and not just because of Dee’s approximation of Dave Greenfield on stylophone, but also his Hugh Cornwell-like low vocal hum), maybe again borne out of that appreciation of a Joe Meek kind of sound. And for me, there’s also an element of ‘show opener’ about the track. It’s as if the band are announcing their arrival and waiting for the lead singer to step out on stage, only realising a couple of minutes in that he’s already there, and just happens to be hiding behind his guitar. I can see that both ways, but still ssee this as the song that would draw people away from the bar and get them down the front. So how about Angels in Tyrconnell Street, a thing of great beauty and another highlight for me on this impressive album. And it’s really evocative of …. well, something. Tell us more, Damian. “I did an instrumental demo of that track in the mid-‘90s, giving it to Raymond (Gorman) during his Wavewalkers era. He added a melody and we called it Higher Grace. We demo’d it but never put it out, so it kind of languished for a bit. “Then I re-did it for another project I was involved with, X.Valdez, a short-lived project with an English girl singer. We went to Paris with this French producer and did that and Everlasting Breath. It did actually get a release on a small label, but not many people know about it. And the title? The song suggests some form of spiritual awakening, but it also seems rather geographically-specific. I did a little research and see that address is part-way between your old family home and Undertones base and Derry City FC’s Brandywell home. Then we have one more contrast with penultimate track, Don’t Let Me Down, a far more frantic yet slow-building, broody number, as close as we get to krautrock here, I guess, and yet also including some lovely harmonies, so perhaps more Sparks-like – and it seems to be you harmonising with yourself. I wasn’t sure where you were going with it at first, but that kind of adds to the sense of anticipation, the song borne out of that deceivingly-monotonous beginning section, darkness seemingly leading to light and ultimate inspiration, with more than a few swirling moments of electronica en route. Yep. I hadn’t thought of that, but spot-on. And what’s not to love there? Furthermore, that’s clearly Damian on bass. Having seen him live many times in the early days of That Petrol Emotion, it seems to be a distinctive style. Brendan Kelly was involved on two tracks here, but that’s clearly Dee. And it would make for a perfect last song once he gets this band together as a live act. Finally, Compulsion is another reimagining of a song previously tackled by That Petrol Emotion in 1990, and a fitting, rather reflective way to end the album. This one seems to be more pared-down than the recorded version, but I kind of like that whole raw quality, Damian’s arguably-stretched, top-of-range vocal really working. But that’s not quite everything. There’s an added extra on the vinyl version’s play-out that Undertones fans will love – a snippet of Damian introducing It’s Gonna Happen to his bandmates for the first time. Oddly enough, hearing that took me back to my own garage band days. In my case, we never actually left the garage, but made a couple of rough demos, and listening to that I get the impression we weren’t so far off. No offence, but it’s pretty rudimentary. And I almost sense your embarrassment at introducing the song for the first time to your bandmates. Band Substance: The Undertones – Billy Doherty, Paul McLoone, John O’Neill, Damian O’Neill, Mickey Bradley. So there you go, and will Damian be playing live with The Undertones again soon? “We’re having a bit of a sabbatical. Billy (Doherty, drums) wasn’t well over Christmas, and is still recovering now. We were due to do some European shows in May but have rescheduled them for autumn. We were also set to do a UK tour at that stage, but that’s been postponed to the following year. We’re at the mercy of Billy really. 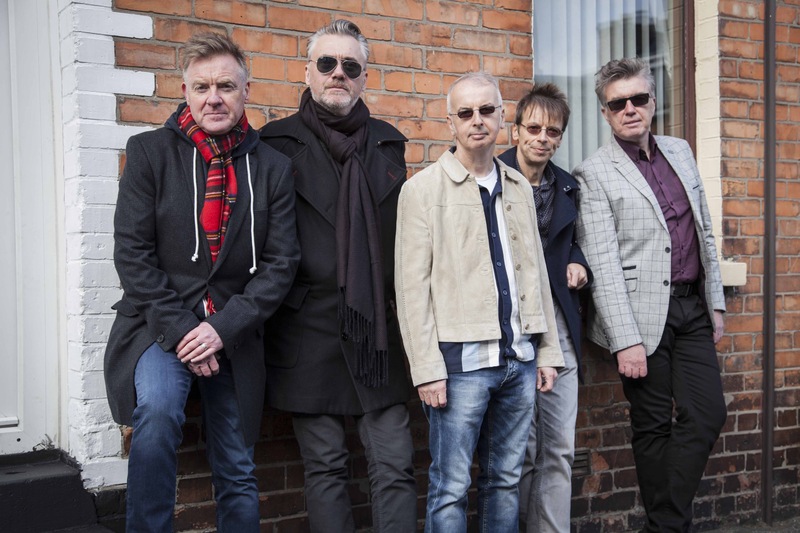 Meanwhile, while you’ve taken a break from touring, love for The Undertones remains strong, and BBC Four marked the St Patrick’s Day weekend by re-screening the wonderful 2012 Chris Wilson/BBC Northern Ireland documentary on the band (if you’re quick enough and in the right area you should still find it on the BBC iPlayer). Well, there aren’t so many bands from that late -’70s era who can boast two great documentary films about them, bringing into consideration Vinny Cunningham’s equally-exquisite Teenage Kicks – The Story of The Undertones documentary film from 2001. You mentioned Billy Doherty (get well soon, Billy), while Paul McLoone and Michael Bradley remain busy with radio commitments between live engagements. But what about brother John? What’s he up to right now? Ah, now we must be due a new album there. The only one I’ve got is 1998’s peoplefreak (including guitar from Damian on one track). Again, I add, answers on a postcard please. 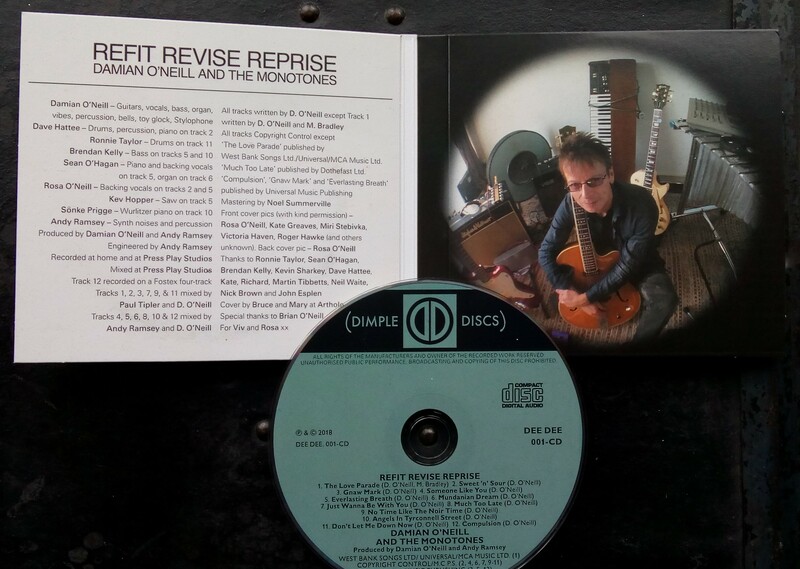 To find out more about Damian O’Neill and the Monotones’ Refit, Revise, Reprise, and how to order a copy, follow this link. Furthermore, Damian has now secured a distribution deal with independent label Shellshock to give the album a later, wider release, making it available in certain record shops. This entry was posted in Books Films, TV & Radio, Music and tagged Andy Ramsey, Brendan Kelly, Damian O'Neill, It's Gonna Happen, John O'Neill, Kev Hopper, Pledge Music, Press Play Studios, Rare, Refit Revise Reprise, Sean O'Hagan, That Petrol Emotion, The Everlasting Yeah, The Love Parade, The Undertones, The Wesleys, Val Doonican. Bookmark the permalink. ‘Just Wanna Be With You’ is the greatest pop song I’ve heard in years.